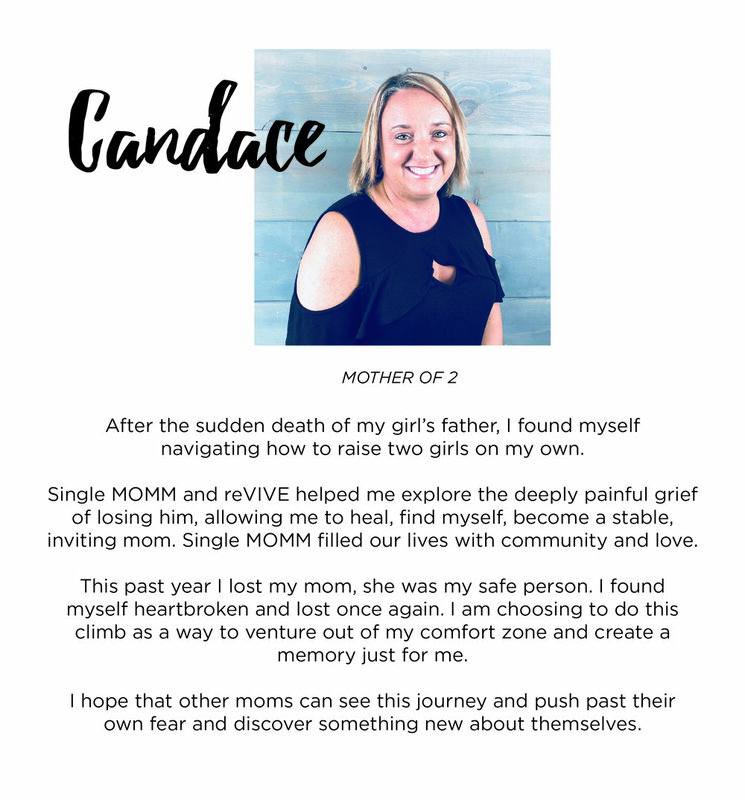 It all started with one single mom reaching out to help another. From this small beginning grew a mission to empower the next generation. 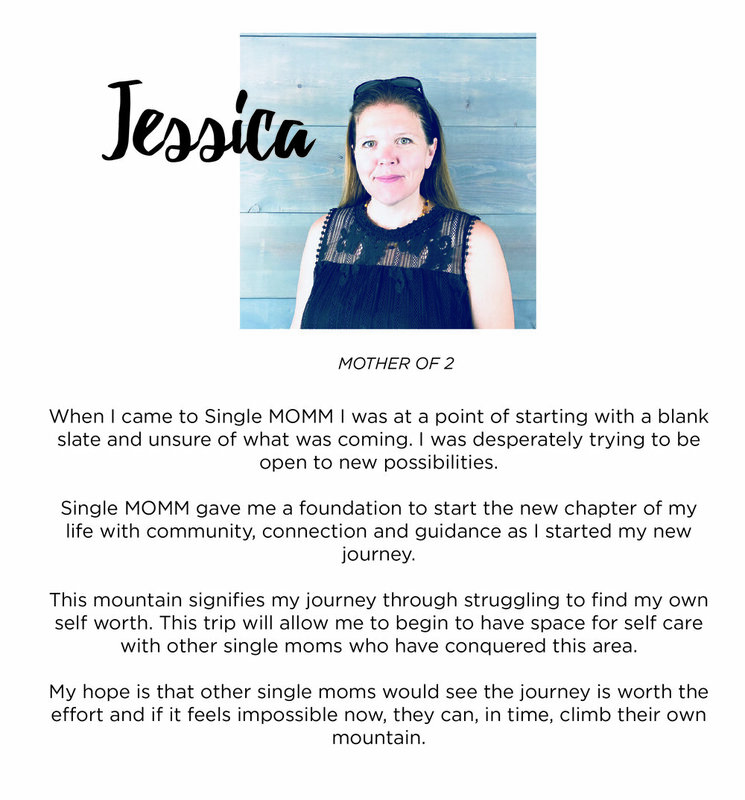 Ten years into this journey and we realize it has started a movement: an army of single moms strengthening each other with the support of a community. When a single mom rises up and leads her family with confidence and strength it impacts generations to come. It is all too common that a mom in a single-parent household feels like she is drowning - one breath away from collapse. We are working to shatter the negative statistics that surround single mom households. Single MOMM holds a 13 week reVIVE course (click here to learn about the reVIVE Course) in which moms address the personal barriers that prevent them and their children from thriving: hopelessness, low self-worth, trauma, the loss of family, debilitating poverty, and the hardship of doing it all alone. If viewed in their entirety these barriers can feel like an insurmountable mountain. Therefore we encourage our moms to "respect the switchbacks." Switchbacks are longer routes cut into the face of treacherous paths that help hikers pace themselves with sure footing – making it to the top one step at a time. For most hikers, Pikes Peak is an intensely difficult climb full of obstacles. Single MOMM and a group of reVIVE alumni are traveling to Pikes Peak to continue overcoming mountains. 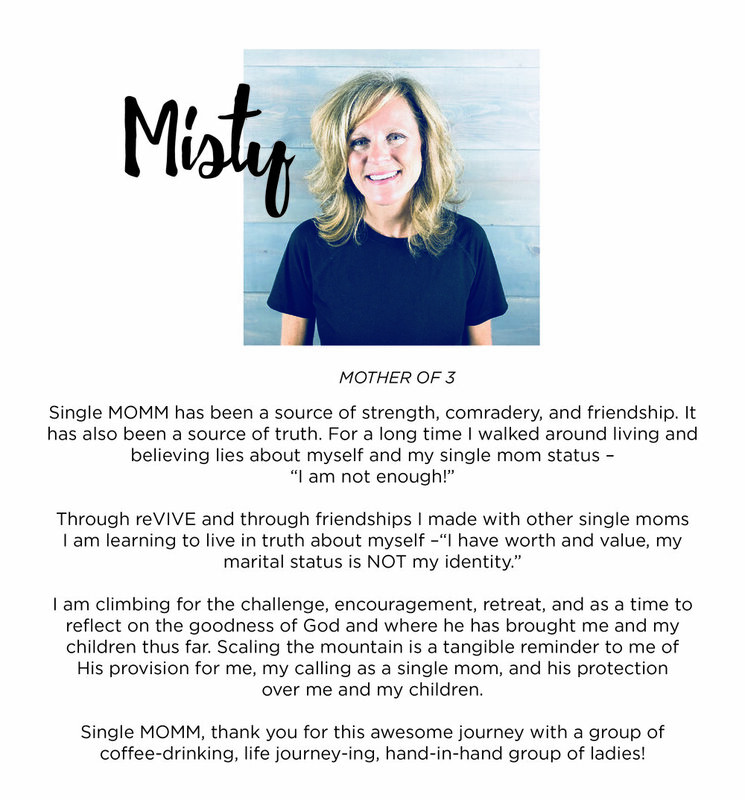 Since Single MOMM was founded in 2008 we have created six arms to our ministry (click here to learn more.) Today we serve over 600 single moms in the greater Grand Traverse area and have begun offering our programs across the nation. We have seen tremendous social and financial return as we have invested in the lives of these single moms. During our last fiscal year, we saw $47,645 going back into our community from moms coming off government assistants and more than $6,000 going back into our community from our single moms volunteering locally. Socially our alumni are noting a greater than 90% improvement in their ability to make informed decisions, self-advocate, set boundaries, engage in healthy communication, manage their finances, and take personal responsibility. We are going to double our outreach to single moms in 2019 by expanding our vocational and residential programs, offering the reVIVE Course nationally, and teaching other communities how to help empower single moms. To do this we need you to invest in the lives of single moms. When we all come together we create the wide base of community support that single moms and their children need. Together we can help single moms build strong homes. When you give you are changing the future of single moms and their children.